Come to one of the best Oktoberfest celebrations in the nation! This traditional festival is modeled after one of the world’s largest celebrations, held each year for several centuries in Munich, Germany. New Ulm’s version takes place during the first two full weekends in October, with festivities happening all over town! The main locations for Oktoberfest in 2019 are Historic Downtown, Best Western Plus, Morgan Creek Vineyards and Schell’s Brewery. Scroll down for 2018 schedule. Check back soon for 2019 information. 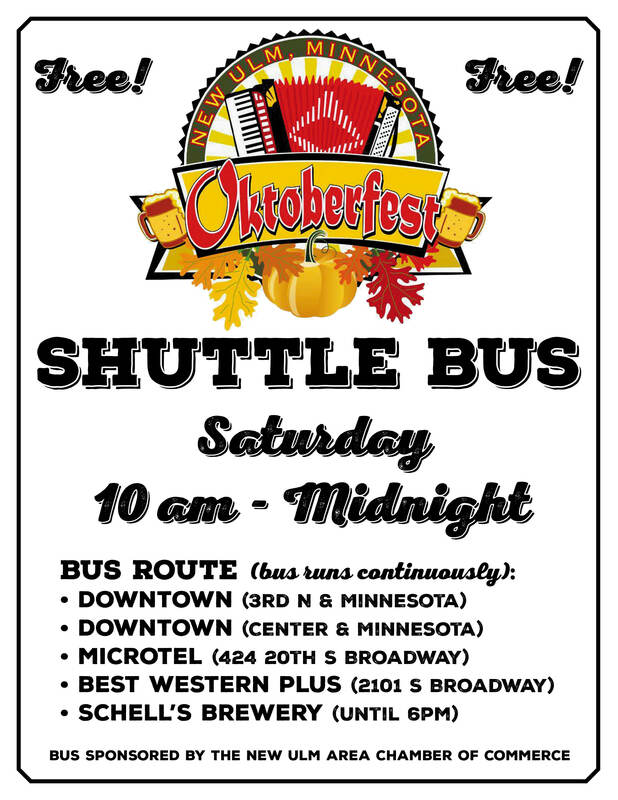 Join us in historic downtown New Ulm for an Oktoberfest celebration in the streets both Saturdays of Oktoberfest! The first weekend features the Germanic-American Day Parade, which kicks off the downtown festival at 11am on Saturday, October 5. Organized by the New Ulm German-Bohemian Society, anyone who is proud of their Germanic heritage is invited to march in the parade! In 2017, we added a new parade to kick off the second weekend festivities, and this Oktoberfest Kostüme on Parade is planned again this year for 11am on Saturday, October 12. The end of both parade routes flows right into the Downtown Oktoberfest celebration, with music (a mix of traditional/polka/country/contemporary), German (and American) food, local beer (Schell’s/Grain Belt) and wine (Morgan Creek Vineyards/Doppeleichen Vineyards), and much more! Games, horse-drawn trolley rides, a stein-holding contest and more take place both Saturdays of Oktoberfest. Break out your dirndls and lederhosen and come join us! Festivities at the Best Western Plus include a full schedule of “oom-pah!” with performances by New Ulm’s famous Concord Singers among other bands. Best Western Plus has expanded their celebration and added an outdoor music event featuring popular bands. The celebration kicks off with the official keg opening on Friday evening, a tradition that is still practiced today in Germany’s Oktoberfests. The food and music continue late into the night on both Fridays and both Saturdays of Oktoberfest. Head to Morgan Creek Vineyards on October 5th for STOMP New Ulm! Morgan Creek Vineyards' Oktoberfest 21st Annual Grape Stomp. Voted BEST Fall Event in Southern Minnesota by Explore Southern Minnesota! Harvest Festival with competitive grape-stomping - an honorable salute to the harvest season! Take off your shoes and get ready to dance! Traditional Morris Dancers and the Satori Belly Dancers perform on the winery grounds. Dancing, stomping, and revelry throughout the afternoon. 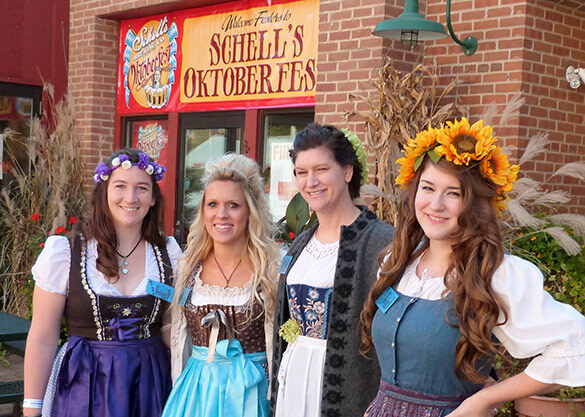 Schell’s Brewery knows how to throw a party, and their Schell’s Oktoberfest celebration, held on Saturday, October 12th this year, is no exception! Schell’s is a German Craft Beer company that was begun by German settlers here in New Ulm in 1860, so they know what they are doing when it comes to German festivals! Music, beer, and lederhosen abound! 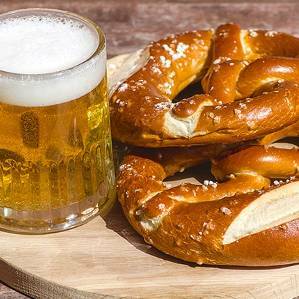 Ranked among the Best Oktoberfest Celebrations in the Nation by Travel + Leisure (2017), Food&Wine (2017), The Huffington Post (2016), Fox News (2016), USA TODAY 10Best (2017 & 2015), Conde Nast Traveler (2015), Tripping.com (2015), TravelPulse (2015), Fodor’s Travel (2014), and voted Best Oktoberfest in MN by WCCO (2014). Intersection of Center St. and Minnesota St.
Fridays: evening, Saturdays: all day! 12-6pm – Vendor & Craft Show/Downtown on 1st North St.
Two free shuttle buses will be running continuously from 10am – Midnight today. Stops will be the Microtel, Best Western Plus, Schell’s Brewery, and two stops downtown. Alcohol, strollers and dogs are not permitted on the buses. 11am-5pm – Vendor & Craft Show/Downtown on 1st North St.
Can't find a hotel room in New Ulm? Ride the MN Beer Bus from Mankato! 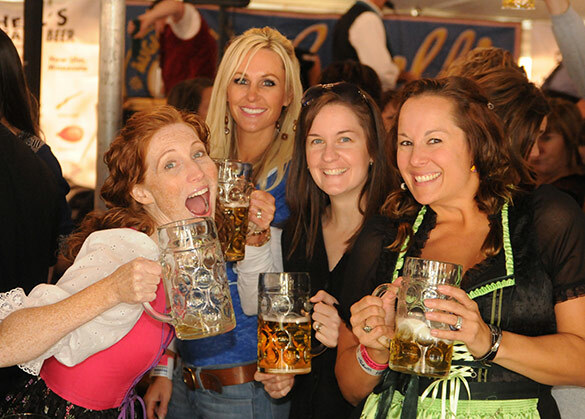 Save the date for Oktoberfest New Ulm 2019: Oct 4-5 & 11-12, 2019!